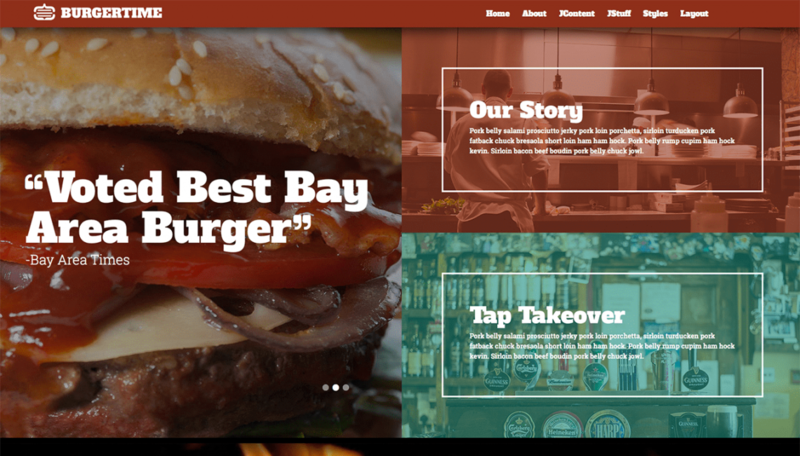 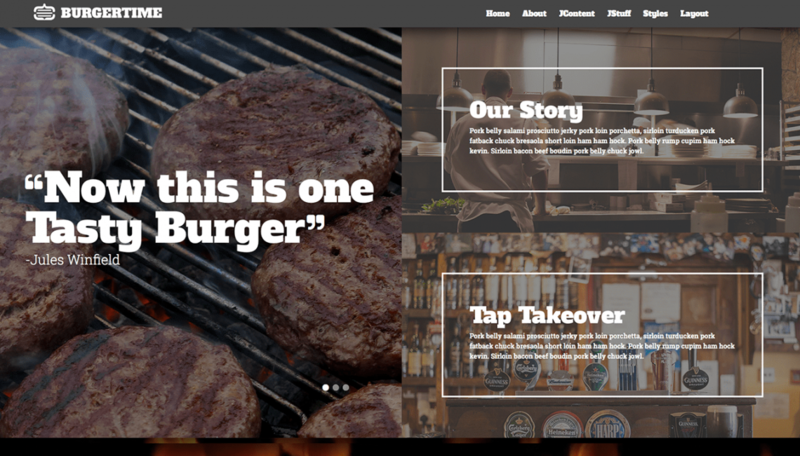 BurgerTime is a colorful template for Restaurants, Bars and more. 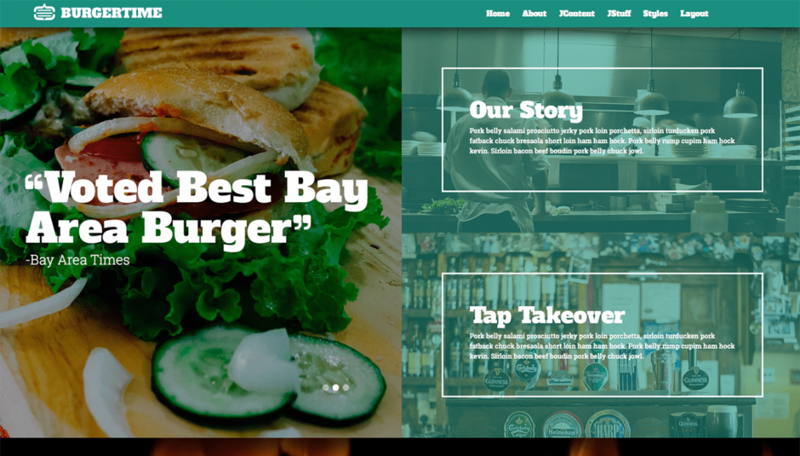 It comes ready to eat with a Bootstrap layout, animation effects, four distinctive color styles and a delicious serving of JoomlaXTC's most popular extensions. 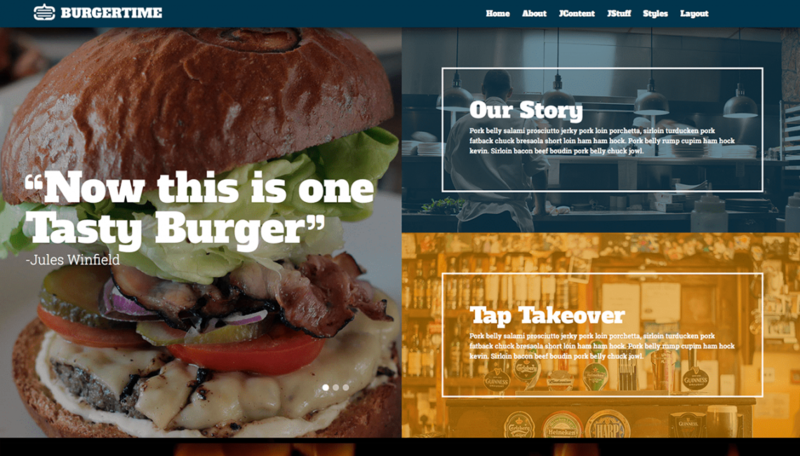 This responsive Joomla template also includes an optional sliding panel, over 60 module suffixes, Font Awesome support, 100+ module positions, and the standard extensive parameter settings powered by our own XTC Framework which now features easier controls and 100% RTL compatibility.